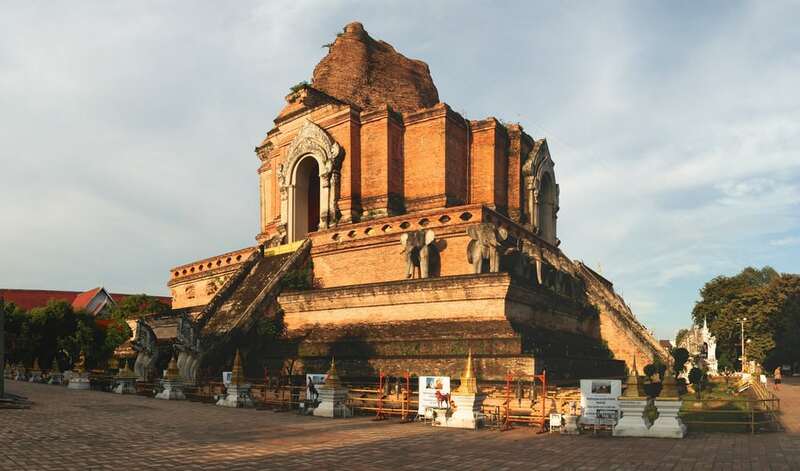 An ancient city filled with history and art, the temples in Chiang Mai are some of the best in Thailand. 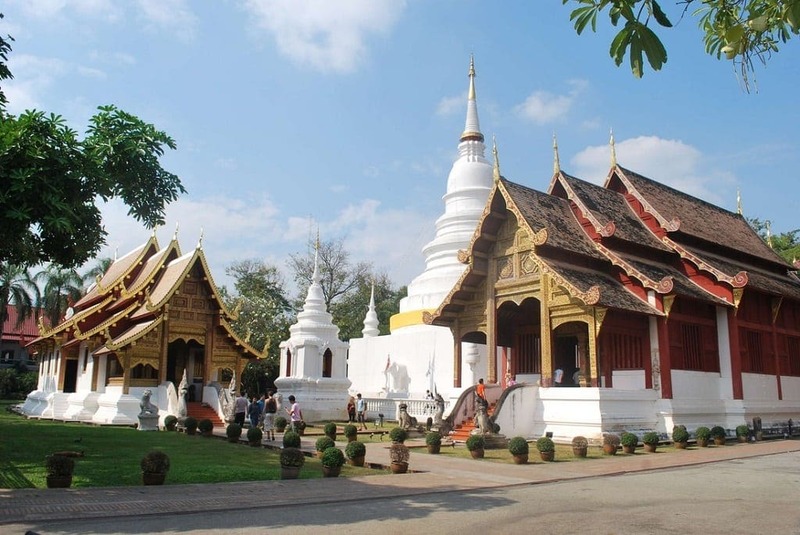 Chiang Mai is often called the ‘City of Temples’, and with good reason. 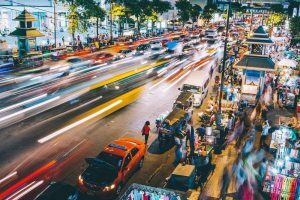 The packed city streets are studded with small oases of calm, a world of gleaming white stupas and sparkling gold pagodas in the middle of modern life. You can’t turn a corner in the old city without the scent of incense drifting on the breeze and the flash of the monks’ orange robes appearing through gateways. 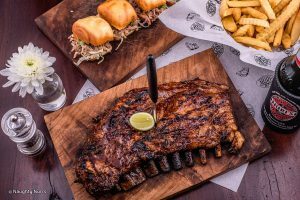 You might want to visit them all but with more than 300 to choose from it’s a tall order! We’ve pulled together a few of the finest to help you on your way. 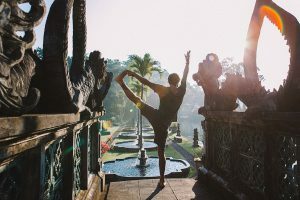 Charge up your camera, cover up those shoulders and knees and head out to enjoy the best that Chiang Mai has to offer. A riot of gold and burnished wood, Wat Phra Singh is one of the most ornate temples that Chiang Mai has to offer. Construction started in 1385 but wasn’t finally finished until the 1920’s; the result is a diverse collection of buildings reflecting the changing architecture across the centuries. 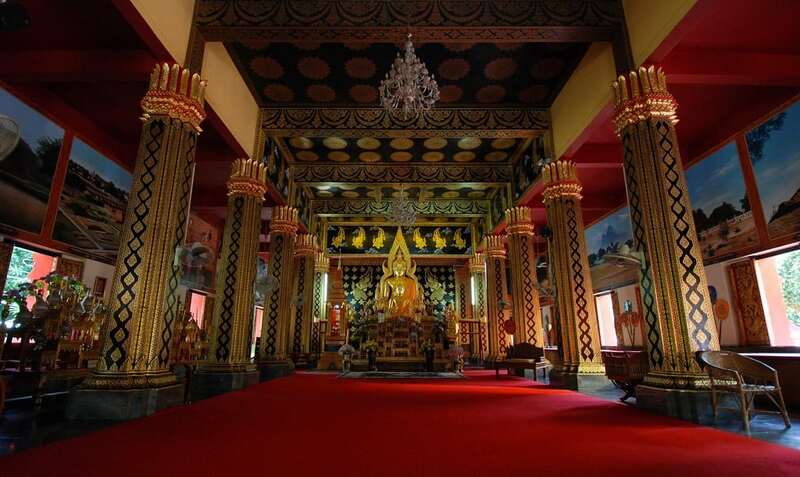 The common theme to all of them is the rich gold decoration and the beautiful pointed Lanna-style rooves that adorn the temple buildings. The grounds here are open to visitors so keep your entrance ticket and go exploring. The ancient library, housed in a wooden temple building set on a carved stone base, is well worth a visit. This is the jewel in Chiang Mai’s crown. Located right in the heart of the Old City and a favorite with coach trips and city tours, Wat Chedi Luang is a masterpiece on the Chiang Mai skyline. Constructed in the 14th century it was once the biggest building in the Lanna Kingdom and it’s still pretty impressive by today’s standards. Wander around the part-ruined chedi, or stupa, to see four Buddha golden statues protecting its stairways, then move on to the main temple building. Colorful prayer flags hang from the ceiling above and dozens of gold and jade Buddha statues adorn the prayer platform. Small but perfectly formed, Wat Phan On lacks the grandeur of Wat Chedi Luang but still impresses in miniature form. 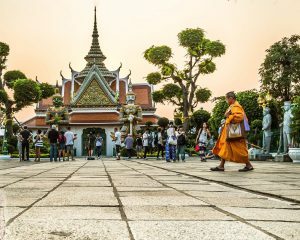 Its location next to Ratchadamnoen Road makes it popular for local believers and a visit here feels like a visit to a thriving place of worship. The main prayer hall is richly decorated with Buddhist motifs and there’s a beautiful collection of bells to gawp at. Come here on Sunday afternoon to do a bit of sightseeing with the night market on the doorstep for dinner afterwards. If you can time a visit to coincide with Loi Krathong then even better- the whole temple is filled with colored Chinese lanterns and looks like something out of a fairy tale. Had enough gold for one day? 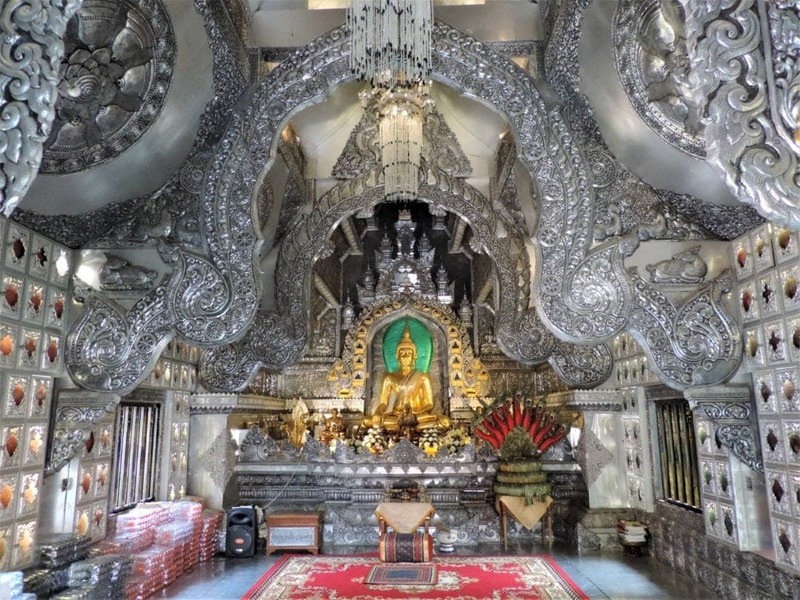 Then head to Wat Sri Suphan where silver is all the rage. This ornate temple is a flashy masterpiece. The main temple building is covered with shiny silver paint with a mirrored finish- you’ll need sunglasses on a sunny day! Come in the evening and the whole place gets turned up a notch, with colored neon lights making it look part temple and part disco. There’s a silver-working school nearby if you’re interested in metal-work and cafes on the street outside if you want to sit and enjoy the view. 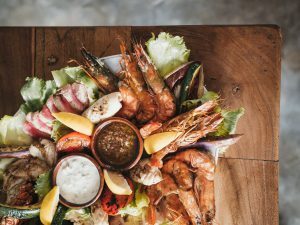 This one is just outside the old city walls, but is unique in Chiang Mai shouldn’t be missed. Every single temple in Chiang Mai is beautiful and has a character of its own. Stop for a chat with the monks that live there and soak up the stories they tell of temple life. Whichever you choose to visit you’re sure to be impressed so get exploring and prepare yourself for a real treat. How To Cure A Hangover!